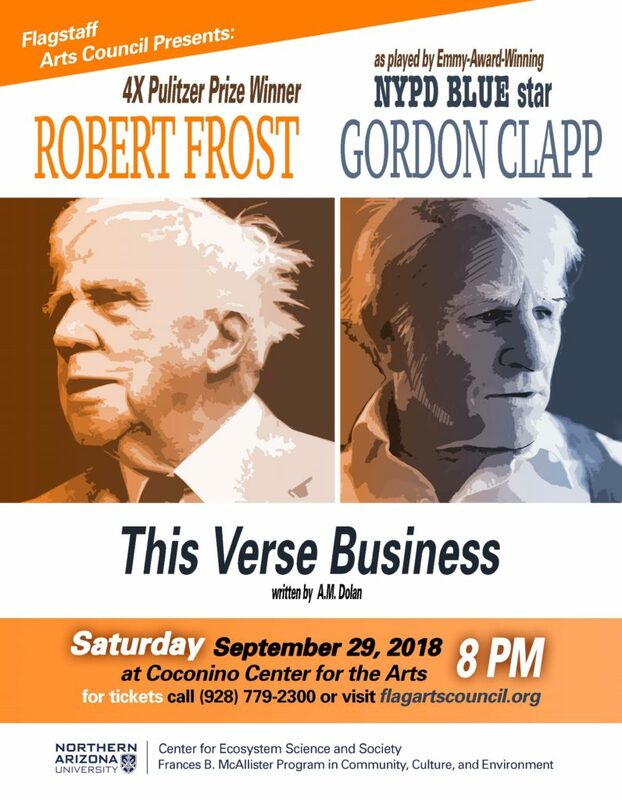 Please join the Center for Ecosystem Science and Society and Flagstaff Arts Council Saturday, September 29 for the Flagstaff premier of “This Verse Business,” a play that offers a new window into Pulitzer Prize winner Robert Frost’s personal life and poetic works. 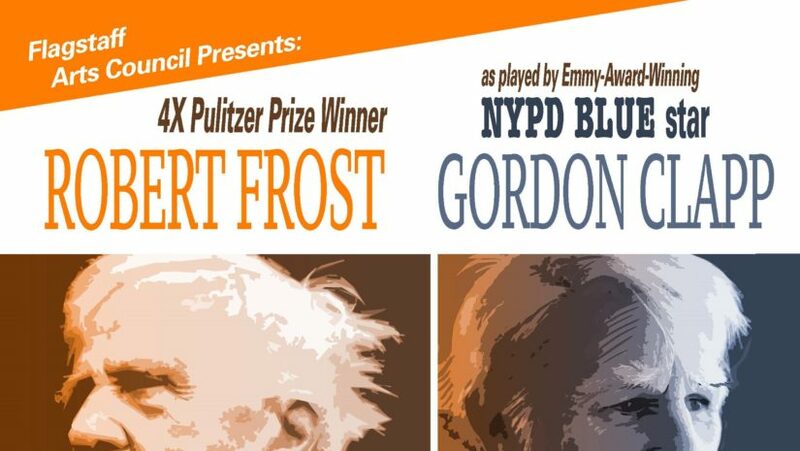 Frost is portrayed by Emmy-winning Gordon Clapp from NYPD Blue. Written and directed by Andy Dolan. Tickets are $10 and can be purchased at the door, online at the Coconino Center for the Arts, or by calling (928) 779-2300. Doors at 7, Curtain at 8 PM.